Leslie S. Klinger (Photo Credit: Brian Braff) is the editor of the three-volume collection of short stories and novels, “The New Annotated Sherlock Holmes”, published by W.W. Norton in 2004 and 2005, winner of the Edgar Award for Best Critical/Biographical Work and nominated for every other major award in the mystery genre. 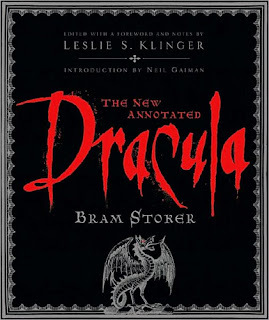 His new work, “The New Annotated Dracula”, to be published by W.W. Norton on October 13, 2008, promises a similar in-depth examination of Bram Stoker’s haunting classic and its historical context. Since the 1960s, the study of the rich fantastic literature of the Victorian writers has been Klinger’s consuming passion. He has written dozens of articles on Sherlockiana, published twelve books on Sherlock Holmes in addition to the Norton work, and regularly teaches a UCLA Extension course on “Sherlock Holmes and His World.” Klinger’s Sherlock Holmes Reference Library has been called by the Baker Street Journal “the standard text of reference for all serious Sherlockians.” Recently he delivered a paper at the 2007 symposium of the Transylvanian Society of Dracula, and is a member of several international Dracula societies. Born in Chicago, Illinois, Klinger received an AB in English from the University of California, Berkeley, followed by a JD from Boalt Hall (School of Law, U.C. Berkeley). 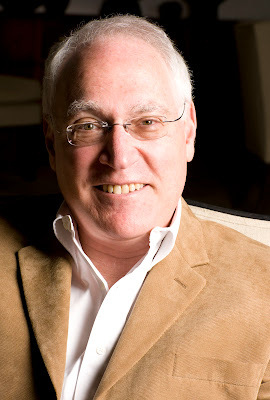 Since then, he has lived in Los Angeles, pursuing a legal career in tax, estate, and business planning. Klinger is a member of the Baker Street Irregulars, the Horror Writers of America, and the Mystery Writers of America, and serves as the chapter president of the SoCal Chapter of MWA and on its National Board of Directors. Q: You are well known in mystery and literary circles as an expert on Sherlock Holmes. Why did you decide to turn your attention to Dracula? Leslie: It was a natural. Dracula was a contemporary of Holmes (the events probably occurred in the late 1880s, and the book was published in 1897, at the height of Holmes’s popularity). They may well have run across each other in London! Q: How does one approach annotating a classic work such as Dracula? There must be an enormous amount of material regarding it. Leslie: There is a huge body of academic work focusing on Dracula, and there have been three previous major annotated editions (hence my title). 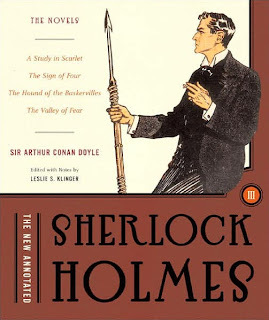 However, I wanted to take a unique approach, applying the methodology of the Sherlockian “Game.” Stoker says in the introduction to one of his editions that the narrative is based on actual documents given to him by his friends, whose names he’s changed. I wanted to analyze the narrative from the perspective of taking Stoker at his word. This meant that the academic work was of little use (although interesting and summarized in a long appendix to my book). Virtually no research has been done by scholars over the last 100 years from this viewpoint (as contrasted with Sherlock Holmes, where thousands of articles have been published with this perspective), so I had to do my own research into fascinating bits of trivia—Whitby tidetables, Continental railroad schedules, the history of medicine, the geography of Romania and England, etc. My conclusion—that Stoker was induced by Dracula himself to twist the actual historical facts to conceal his defeat of Van Helsing and the others—is presented throughout the book. However, I also present all the evidence, so the reader can laugh at my conclusion and still obtain all the scholarship. There were also topics too long for notes that are covered in various appendices—Dracula on film, Dracula on the stage, parodies and pastiches of Dracula, the predecessors to Dracula (vampire folklore), Dracula in academia, chronology, etc. Q: Why is an annotated version of important literature usually more reader-involving and fascinating than just the original itself? Leslie: Any timeless book can be read on multiple levels. At the microscopic level (the annotator’s viewpoint), great books turn out to be highly accurate photographs of the culture and times in which they were written. I’m not suggesting that readers new to Dracula start with the annotations—I generally suggest that they read the story first, then come back for the notes (unless there’s something in particular that they just don’t understand). In the case of Dracula, we’re no longer conversant with Victorian culture or even Victorian English! In addition, an important part of my scholarship was to compare the published text with three other versions, in search of clues: The notes kept by Stoker in the course of writing it, the “manuscript” (actually a typescript), owned by a private collector and long unavailable for study, and the version abridged by Stoker. Q: You mention in your notes that there are a number of “inconsistencies” in Stoker’s story. Can you explain, and give us an example or two? Leslie: The most glaring inconsistency is the mismatch of Jonathan Harker’s description of Transylvania, which bears little resemblance to the real place. In addition, after Van Helsing tells the vampire hunters over and over that the way to kill a vampire is with a wooden stake, why do they attack Dracula with steel knives? And why does Quincey Morris behave so strangely? Could he be in league with Dracula? And is it really coincidental that Lucy and Mina Murray (the fiancée of Dracula’s solicitor) just happen to be staying in Whitby, where Dracula chooses to land? Or that Dracula’s estate in Purfleet just happens to be next door to the sanitarium of Lucy Westenra’s physician? Q: You state in your notes that Dracula did not die at the hands of Harker and the other hunters, as is commonly accepted from reading Stoker’s text. What evidence is there to support your argument? Leslie: The biggest clue is that Harker’s descriptions of Transylvania (a) are inaccurate and (b) have been plagiarized from contemporary travel books. I thought for a long time about why he would do this, until it finally dawned on me: he never went to Transylvania at all, he went somewhere else (possibly Styria, the home of Carmilla). Why then would he make up a cover story? Well, he wouldn’t, but someone else might have a motive to do so. Who? A living Dracula, who was too late to prevent the publication of some form of the book but who could coerce (probably by threat) Stoker to twist the facts to cover up (1) Dracula’s survival, (2) the location of the events (so that future hunters wouldn’t track him to his home), and (3) the existence of the Castle. We know that Dracula hoped to have the book report the destruction of the Castle, but someone—possibly Stoker in a fit of bravery—subverted this plan and left in the fact of its continued existence. In light of this clear evidence and Dracula’s well-known ability to turn into a mist, the “disintegration” of Dracula after being stabbed with ineffectual steel knives is explained. Q: In the course of your research, which took you to Philadelphia, London, and Transylvania, what did you discover that surprised you the most? Leslie: My trip to Transylvania confirmed the mismatch between Harker’s description and the reality. The biggest surprise was how great a tourist industry Dracula has become and how much misinformation is handed out in Transylvania! Q: You are one of a handful of people who has spent time with Bram Stoker’s original manuscript, which is now owned by Microsoft billionaire Paul Allen. What was that experience like? Q: I’ll assume you've watched some of the movies depicting Bram Stoker’s vampire. Do you have a preference for a particular actor in the role of the Count? If so, why? Leslie: Jack Palance is actually my favorite, conveying youthful age (to coin a phrase) and a convincing object of fear. Christopher Lee is a close second, although the Hammer films were by and large so over the top that Lee didn’t get a fair chance. Q: What do you think are some of the biggest misconceptions about Dracula, and vampires in general? Leslie: The biggest “myth” created by the films is that vampires can’t stand sunlight. If the records of the Harkers are true, there is ample evidence that Dracula, at least, could walk around outside during the daytime and be highly functional. Anne Rice’s histories of vampires seem to bear out this trait. Q: Why do you think there’s such a fascination with vampires in pop culture today? Leslie: The vampire has evolved from monster to “master,” becoming a romantic figure in the process. Many people see themselves as “outsiders,” deeply misunderstood, and so they sympathize with modern vampires. The immortality part doesn’t hurt either! Q: What text will you tackle next? Leslie: I have a number of projects in planning stages but none ready for announcement. I love bringing classic literature into a modern perspective! Q: What is the one question you would love to be asked and what is your answer? NOTE: The above Q&A is a reprint of an interview that was conducted by Zombo's Closet of Horrors. The original interview can be found HERE.